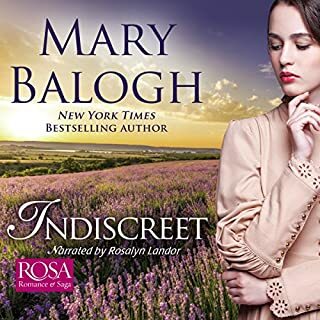 Award-winning and New York Times best-selling author Mary Balogh delights fans with historical romantic tales that touch the heart. 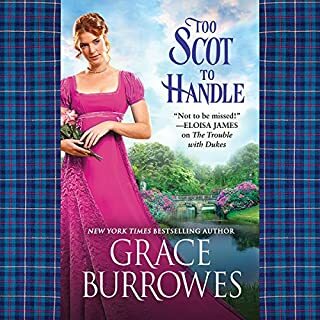 After her husband dies in a freak accident, Lady Gwendoline Muir never dreams she’ll love again. So when soldier-turned-nobleman Lord Hugo Trentham stirs feelings in her that have lain dormant for years, she can’t help but imagine his strong embrace. Hugo finds himself drawn to Gwen, but he’s never courted a woman before. Can he muster the right words to make Gwen open her heart and love once more? Like all the Bedwyn men, Aidan has a reputation for cool arrogance. But this proud nobleman also possesses a loyal, passionate heart - and it is this fierce loyalty that has brought Colonel Lord Aidan to Ringwood Manor to honor a dying soldier's request. Having promised to comfort and protect the man's sister, Aidan never expected to find a headstrong, fiercely independent woman who wants no part of his protection, nor did he expect the feelings this beguiling creature would ignite in his guarded heart. As a captain in the army, Colin MacHugh led men, fixed what was broken, and fought hard. Now that he's a titled gentleman, he's still fighting - this time to keep his bachelorhood safe from all the marriage-minded debutantes. Then he meets the intriguing Miss Anwen Windham, whose demure nature masks a bonfire waiting to roar to life. When she asks for his help to raise money for the local orphanage, he's happy to oblige. The Survivors' Club: Six men and one woman, all wounded in the Napoleonic Wars, their friendship forged during their recovery at Penderris Hall in Cornwall. Now, in the fourth novel of the Survivors' Club series, Flavian, Viscount Ponsonby, has left this refuge to find his own salvation - in the love of a most unsuspecting woman. Flavian, Viscount Ponsonby, was devastated by his fiancée’s desertion after his return home. Now the woman who broke his heart is back - and everyone is eager to revive their engagement. Except Flavian, who, in a panic, runs straight into the arms of a most sensible yet enchanting young woman. Agnes Keeping has never been in love - and never wishes to be. But then she meets the charismatic Flavian, and suddenly Agnes falls so foolishly and so deeply that she agrees to his impetuous proposal of marriage. When Agnes discovers that the proposal is only to avenge his former love, she’s determined to flee. But Flavian has no intention of letting his new bride go, especially now that he too has fallen so passionately and so unexpectedly in love. Mary Balogh and Rosalyn Landor are Enchanting! Would you listen to Only Enchanting again? Why? 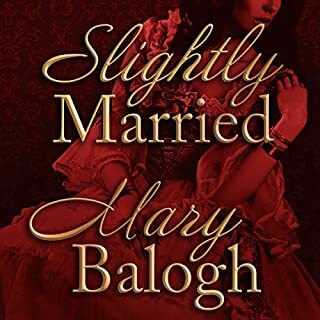 This is one of Mary Balogh's best novels. She has written about other members of the Survivors Club and I love the series of books. This one caught my interest on page one and held it throughout. Viscount Ponsonby had been in the Peninsular War, been shot through the side of the his head, fell off his horse onto his head, then trampled. He suffered memory, speech problems which caused him to display bouts of seemingly uncontrollable anger that frightened his family. After three years of treatment with six other survivors, he is considered healed enough to resume his role in society. He knows how fragile his control is and fears that his memory is still faulty enough to cause problems. He knows that he can't remember what he can't remember. He expects that unlike his friends who have met women they've come to love and marry, he will never love a woman nor will he ask any woman to marry him. Agnes Keeping is a young widow who lives a quiet, placid life sharing a home with her elder sister. There are secrets in her life about her family that she is content to keep suppressed. She has acknowledges that though she was fond of her late husband, she valued there quiet life even though she was never in love with him nor does she want to meet a man she can fall in love with. 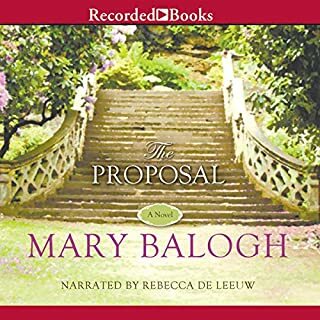 Mary Balogh has masterfully built a story of how they meet, have their expectations overturned, how they match and complement their strengths and weaknesses and unexpectedly learn to trust and love each other. It's beautiful love story that deals with very human frailties told with humor, insight, charm and romance. Rosalyn Landor is marvelous in her ability to bring the characters to life with her voice, varying her pitch and timbre to suit the different characters, their gender and station in life. She is the perfect actress for this story. Her voice is so beautiful, it's a pleasure to hear her. Her characterizations are amazingly in their variety. I will listen time and again. Mary Balogh has a gift for writing characters who have a conversation in their own minds, arguing different sides of an issue that is facing them. The conflict between what they believe they should do and what they find themselves actually doing if usually humorous to the point I am often laughing aloud or chuckling to myself. Embarrassing if I try to read in a public place. But worth looking like an idiot so I cannot bring myself to put my Kindle away. But I especially liked the way she addressed Flavian's struggle to deal with his incapacity stemming from his war injury. He hides behind various masks that makes people see him as mocking, cynical, and proud so they won't see how wounded he still is or how much he has been hurt by people he should be able to trust. He struggles to understand himself and to express himself clearly. Agnes falls in love with him early on but doubts that she should allow herself to give into it and act accordingly. How they overcome their reluctance to trust one another is perfectly paced and perfectly believable. I love the warmth of her voice, her ability to voice male and female characters and her ability to bring the characters to life. I know when she performs, I only have to relax and get carried away into the story. I have never been disappointed. She can take a mediocre story and make it more interesting. 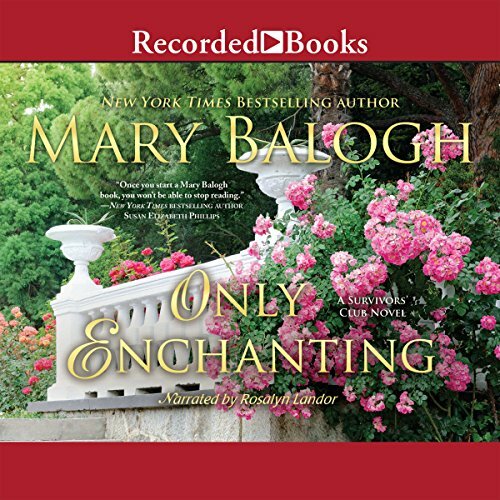 When she has a book by Mary Balogh, she is at her best. I have no answer for this question. If you enjoy historical fiction, I recommend this book. If you want escapist fare, it's perfect. If you want to read about characters who are worth caring about, this book is great! If you are already a fan of Mary Balogh's Survivors' Club series, you will like the way she incorporates the club members and their stories as part of this one and let's the readers know some updates about their lives. She manages it without forcing the earlier couples into this story. Very well done! Very satisfying! 10 sur 10 personne(s) ont trouvé cet avis utile. A great book to continue the Survivors' stories. This may be my favorite so far. Agnes and Flavian are mature characters and it's good too see them deal with problems directly. Very refreshing. I had a bit of distraction about a quarter of the way through with other characters but that passed and it might have been just me. I love the way the author makes each story unique. I look forward to more. And, as usual, Rosalyn Landor's narration was spot on! Flavian Finds Love in a Field of Daffodils. Flavian has a problem. Well, he has a few. A bullet to his brain has made him muddled, and has affected his speech and his memory. He works hard on containing his rage as well, but at least he knows where that's coming from. His ex-fiance married his best friend, after he came home from the war mortally wounded, and he's never been able to forgive either of them for the betrayal. His mother and sister however, are hoping the two will reconcile, since the ex is now a widow, and everything can be just like it was supposed to be. But Flav wants nothing to do with their plan, or the ex. Fortunately, a visit to the home of Vincent and Sophia, along with all the other Survivors, has come at just the right moment, and has given him an excuse to avoid the whole mess. It also provides the rather intriguing opportunity for him to see the plainly dressed, but enchanting widow, who caught his eye when he danced with her -- twice -- at Vince and Sophia's marriage ball the year before. Flavian knows there was something special about her, but he can't quite recall what it was. As a close friend of Sophia's, Agnes Speeding has been invited to come to the grounds of their estate to paint whenever she wishes, and it's there that she an Flavian meet again, among the daffodils. But Agnes has a secret. One that she can share with no one, because when Flavian danced with her at that ball, she fell hopelessly in love with him, and there is no way she can ever let him know. I loved this book, and Highly Recommend it, along with the rest of the series, to romance lovers everywhere. This is such a sweet and engrossing love story. If you want to get a good synopsis of the plot, look at Lady Wesley's review. She does an excellent job laying it all out. I will address "feelings" about the book. I was interested in the story from the first page. Both central characters are likable and well fleshed out by the author. I really like the revenge Flavian extracted on his ex-fiance who so cruelly rejected him when he needed someone the most. It was satisfying. Also, the victory by Agnes in winning his love and besting all her detractors is satisfying. It is a feel good story resulting in sighs, tears, laughter and a general sense of feeling good. The reader, Rosalyn Landor, is in the list of best performers in the industry. She does an excellent job in reading this book. This is the fourth installment in Mary Balogh’s Survivor’s Club series, and while all of them have been good, this one is first-rate. It delivers what we’ve come to expect from Balogh – engaging, fully-developed characters, impeccable plotting, and a happily ever after that is not easily earned. I couldn’t wait to find out what would happen next. As the book opens, it’s time for the members of the Survivors Club to gather for their annual reunion, but instead of going to Penderris Castle in Cornwall, they journey to Middlebury Park, the Gloucester estate of Vincent Hunt, Viscount Darleigh. This change in venue came about because Vincent’s wife, Sophia, had recently given birth, and he would not leave her. Living near Middlebury Park is Sophia’s closest friend, Agnes Keeping, a widow who resides with her older sister Dora, a music teacher. At the age of twenty-six, Agnes Keeping had never been in love or ever expected to be -- or even wished to be. She rather chose to be in control of her own emotions and her own life, such as it was. Agnes was married at age 18 to an older man, “a neighboring gentleman of sober address,” and while there was no love between them, there was affection, and Agnes was content. She leads a prosaic life in the village of Inglebrook and is satisfied with painting, tending house, and visiting with neighbors. She is wary of romantic passion, which was, as we learn later, her mother’s downfall. Agnes and Dora attend a Harvest Ball at Middlebury Park and into her life strolls Flavian Arnott, Viscount Ponsonby. Flavian is handsome, witty, charming, and aloof, but his affable exterior masks enduring scars. He inherited his title only upon the death of his beloved brother, David. Shortly thereafter, Flavian suffered grievous head injuries in the Peninsular Wars. He was brought home unable to speak or even think coherently. When his fiancée, Velma, jilts him to marry his best friend, all he can do is fly into a fit of sputtering rage. Fortunately, he was taken in by the Duke of Stanbrook and spent three years recuperating with the other members of the Survivor’s Club, but he still speaks with a stammer and suffers from memory loss, headaches, and occasional outbursts of temper. Flavian and Agnes spend time together, exchanging the stories of their lives along with a few kisses. When Flavian suddenly proposes marriage, it is hard to know who is more surprised, but eventually Agnes accepts, and they are married by special license the next day. But there are surprises in store when they arrive at Arnott House in London, for awaiting them there is Flavian’s family along with the now-widowed Velma and her parents. All of them are expecting Flavian and Velma to reunite and marry, and they are unhappily surprised to learn that Flavian has married a nobody from nowhere. Moreover, Agnes is unhappily surprised to learn that Flavian has married her in order to be free from his family’s manipulations. Flavian and Agnes are faced with a choice, and Agnes’s first inclination is to flee – back to her lonely but safe life in Inglebrook. But it turns out that Agnes is made of sterner stuff, and Flavian is desperate to keep her in his life. They are young, but mature beyond their years, and they address their problems directly and candidly. Agnes is a wonderful heroine. It was great fun to watch her stand up to Flavian’s mother, to Velma, and even to the dragon ladies of the ton, who have their claws out after the truth about Agnes’s mother comes out. As Agnes comes into her own, Flavian begins to remember more about David’s death and about his own troubled relationship with Velma. Agnes and Flavian talk to one another about their problems like mature adults, which happens all too seldom in romance. 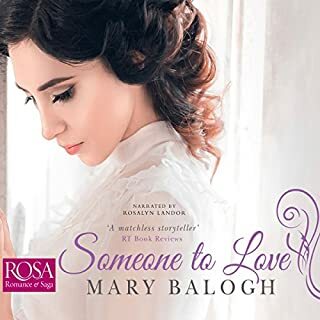 With her trademark faultless execution and insight, Mary Balogh shows how these two emotionally scarred people work together to address their problems and find the true meaning of love. And speaking of faultless execution -- Rosalyn Landor gives the listener a pitch-perfect performance. 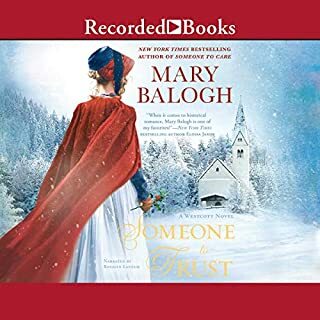 She is the perfect narrator for Mary Balogh's books, and I'm so pleased that she is also narrating books from Ms. Balogh's backlist. This is my first venture into this series of "The Survivors" and because the books focus on one of the individuals in the group, reading it out of order did not change my engagement in the story. This story underscores the complications of status in 18th century England. Excellent character development gives the listener a look into post-war veteran life, social status engagements, and the complication of personal feelings and desires. The narrator, Ms. Landor, has a beautiful proper English accent and reads it well. The narrator makes or breaks a book and I felt she added to the enjoyment of the story by her inflections during conversations, the humor she implied and emotion she allowed in the characters. It is a romance story, with courtship as awkward as it can be, some sexual scenes, not too explicit and with ample love, loss, anxiety, fear, rejection, acceptance, etc. I liked the book and will find another by this author. an excellent novel. the depth of the characters encourage the reader to turn the page. the heroines demand respect and you cheer the hero. Another super installment to this series. Always liked Flavian and his dry humor. More please.